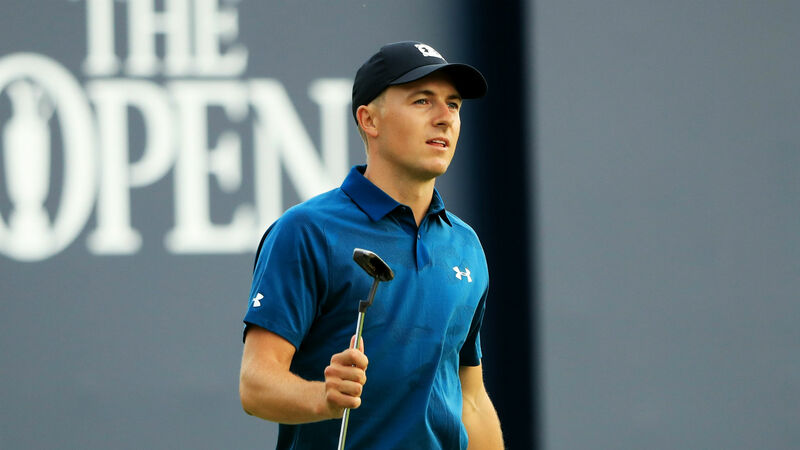 Jordan Spieth stepped onto the course at Carnoustie and showed the crowd why he was the reigning champion of the tournament with a performance that shot him to the top of the leaderboard. The American is sitting in a three-way tie for first with fellow countrymen Xander Schauffele and Kevin Kisner. Spieth, however, shot at 65 in his third round Saturday. The outing moved him up 11 spots. Tiger Woods remains in contention as well, tied for sixth and four strokes off the lead after a 5-under 66 in Round 3. Catch up on all the action from The Open Championship below. Click here for our live British Open leaderboard with tee times and up-to-date scores from Carnoustie. Sunday is going to be fun. Bernhard Langer scoffs at your 513-yard par-5. This guy is celebrating the British Open the right way. Jordan Spieth: good at golf. Zander Lombard ending his round with style! A walk-off birdie to end the day! Rory McIlroy is just showing off now. Here’s a 408-yard drive, courtesy of @McIlroyRory . He only had 115 yards left into the par-5 14th. Tiger Woods has been showing flashes of his old self this round! Jordan Spieth is reminding everyone why he’s this tournament’s defending champion. Is Conor McGregor the greatest MMA fighter of all time if he beats Khabib Nurmagomedov?